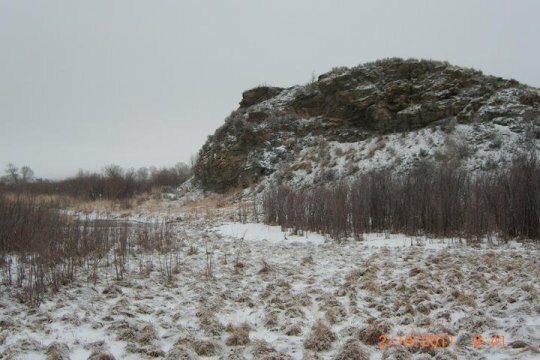 Scientists have shown that at the Anzick site in Montana -- the only known Clovis burial site -- the skeletal remains of a young child and the antler and stone artifacts found there were buried at the same time, raising new questions about the early inhabitants of North America, says a Texas A&M University professor involved in the research. "One thing that has always been a problem has been the accurate dating of the human remains from the site," explains Waters. "The human remains yielded a younger age that was not in agreement with the ages from the antler artifacts which dated older than the human remains. If the human remains and Clovis artifacts were contemporaneous, they should be the same age." To resolve the issue, the team used a process called Specific Amino Acid Radiocarbon Dating, which allows a specific amino acid, in this case hydroxyproline, to be isolated from the human bones. "This amino acid could only have come from the human skeleton and could not be contaminated," Waters adds. "The other previous ages suffered from some sort of contamination. With the new method, we got very accurate and secure ages for the human remains based on dating hydroxyproline. As a test, we also redated the antler artifacts using this technique." "The human remains and Clovis artifacts can now be confidently shown to be the same age and date between 12,725 to 12,900 years ago," Waters notes. "This is right in the middle to the end of the Clovis time period which ranges from 13,000 to 12,700 years ago.